Kyle Turner started his educational journey at Castleton University with the intention and drive to become a reporter for a newspaper. As a Communication major, he worked closely with Journalism Professor Dave Blow to make his dreams a reality. The former athlete and sports enthusiast then fell in love with the medium of video around his junior year. “Castleton sports teams were becoming better and better during my time there. My love for sports and video combined to bring me where I am today as the Director of New Media for a Division 1 mid-major conference in the NCAA,” said Turner. With the help of Communication and Video Professor Bob Gershon, Turner and a few classmates had the chance to channel this video-focused energy into creating the Spartan Sports Weekly, a show based around Castleton sports and a side project that prepared him for what he does today. “Dave Blow was also a big influence on me during my time at Castleton. He pushed me to do better and even though I did not want to be a journalist in the traditional sense, he was there to help push me in the right direction when I knew I wanted to work in video,” he said. After his time at Castleton, Turner continued his education at the Long Island University of Brooklyn to achieve his Master’s degree in Media Arts. 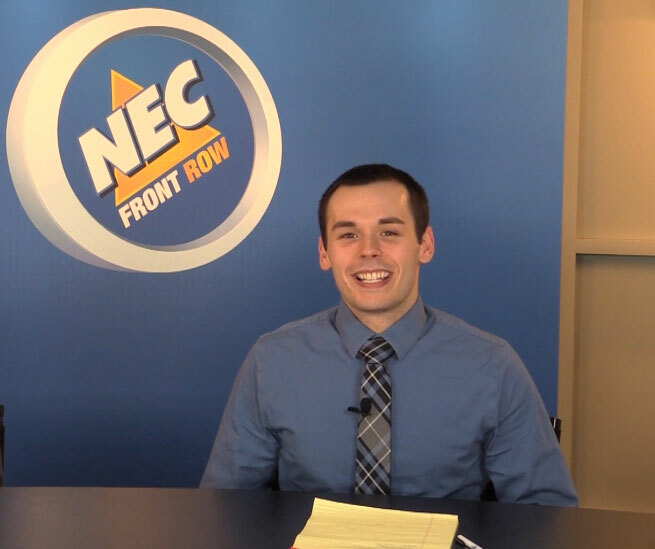 With the trade from rural to urban learning environments, Turner now works as the Director of New Media at the Northeast Conference in Somerset, New Jersey. Since his graduation in 2012, he still keeps in contact with the two professors he credits with helping him get to where he is now.